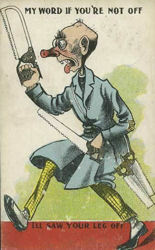 This is an example of what turned out to be a false lead. 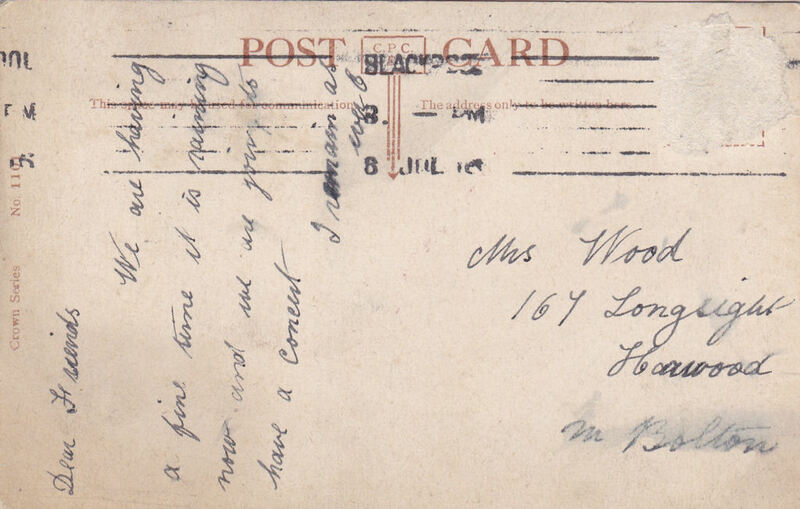 In researching the short-lived Crown Publishing Company of St Albans I looked at other companies publishing comic post cards with a crown connection which could have been and predecessor of the company - or a successor. 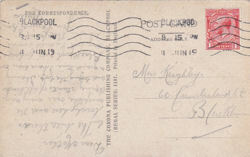 This company has a crown as part of its loge, and has published a "Crown Series" of post cards. 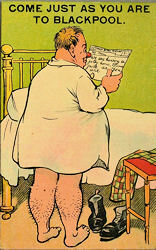 On the basis of the information collected here I have concluded that there is no connection with the Crown Publishing Company of St Albans. There is also no suggestion that tjey ever published any cards by Frederick Spurgin. 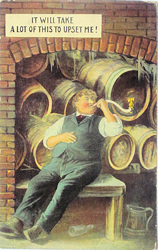 The Corona Publishing Company was set up in London at about the same time as the Crown Publishing Company closed down in St Alban. 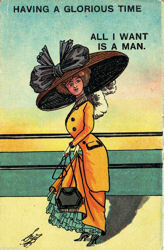 These are examples of the type of cards produced in London in around 1909. 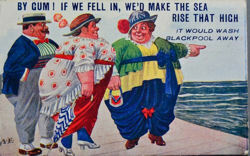 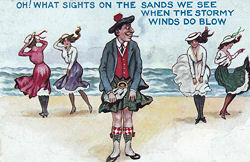 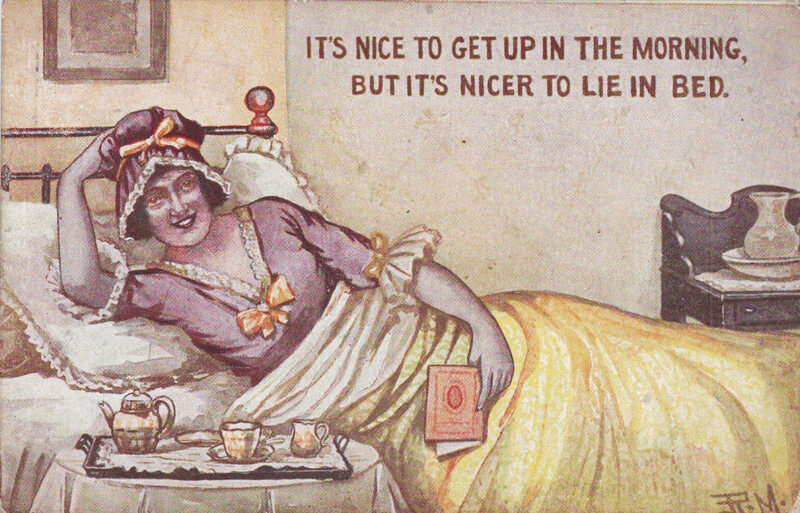 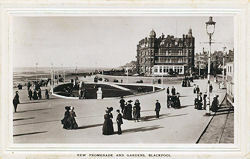 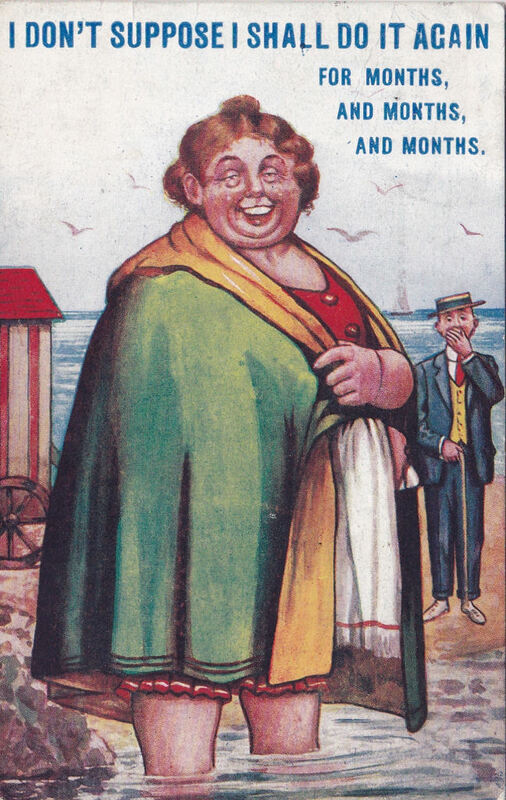 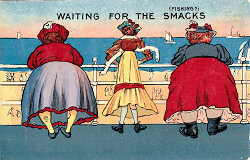 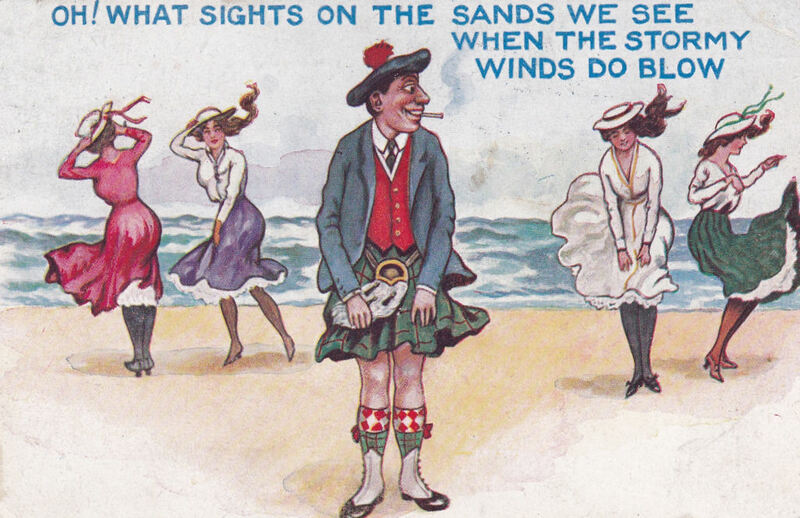 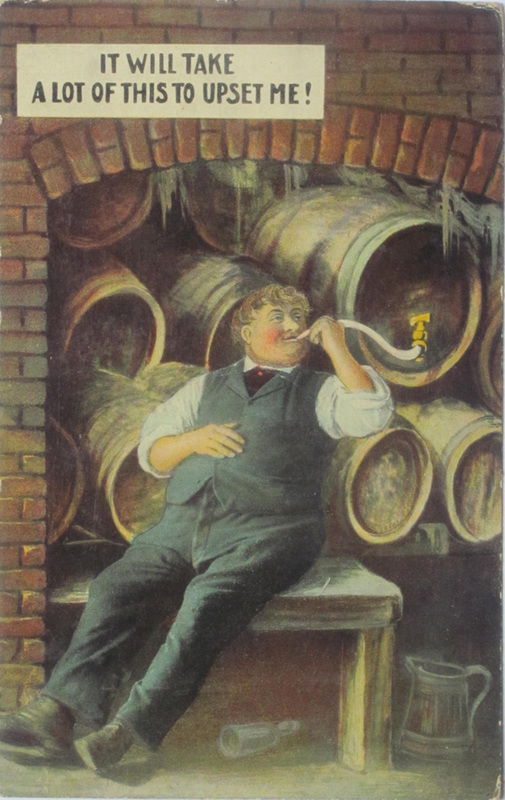 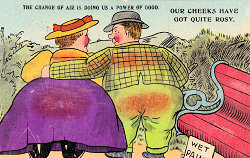 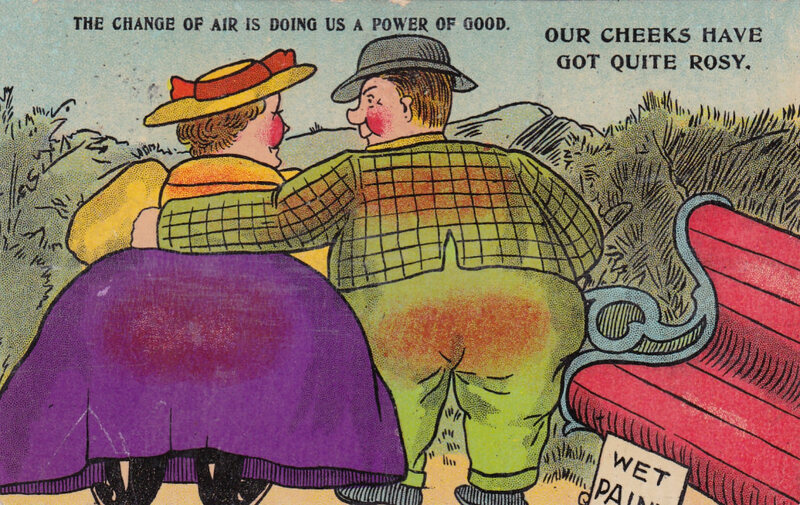 The Company then moved to Blackpool and produced many cards up to and including the First World War Period. 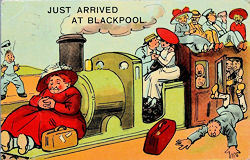 They produced card of different types including view cards - nearly all specifically linked to Blackpool or other North Western resorts including more in the Coronation Series. 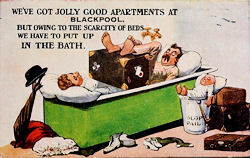 We've got jolly good apartments at Blackpool, but owing to the scarcity of beds we have to pu up in the bath. 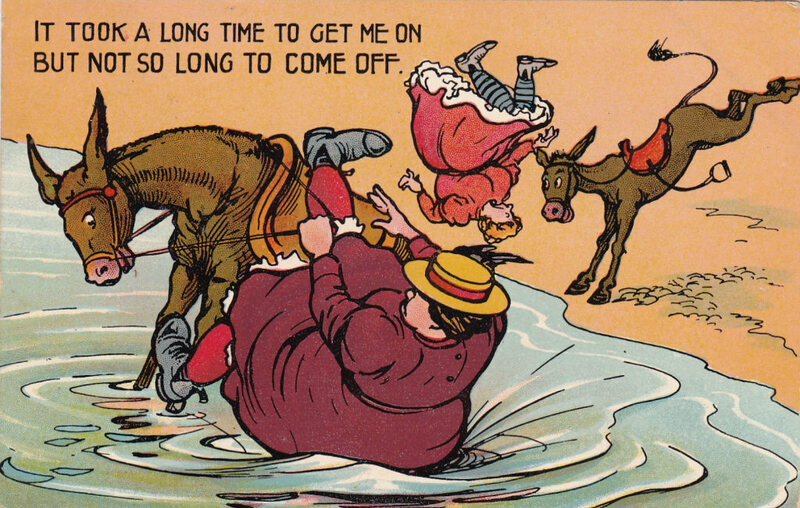 However there are serious problems in making any association with the Crown Publishing Company of St Albans and the Corona Publishing Company of London. 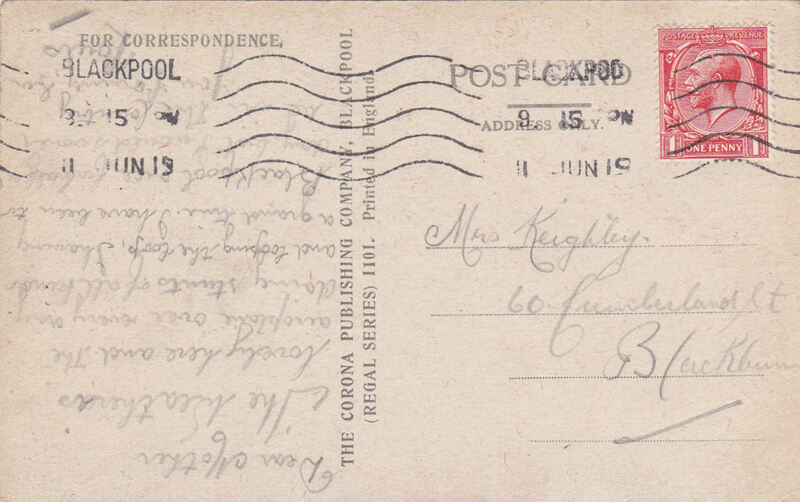 The card on the left (Coronation Series 28) was posted in 1907 by A & E Coppock of 48 Coronation Street, Blackpool and used an almost identical logo. 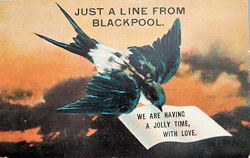 It would therefore seem that the London company was closely linked with the Blackpool firm and the "Coronation Series" relates to the Blackpool address. 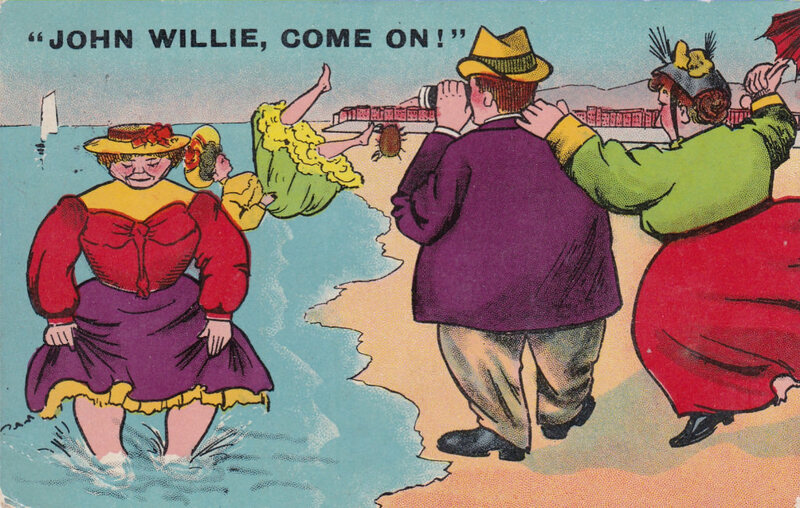 No 107 "John Willie, Come On!" Many of the Corona Publishing Company's comic cards were in the "Regal Series" - but a small number of which were also issued in the "Crown Series" and the publisher shown as "CPC". 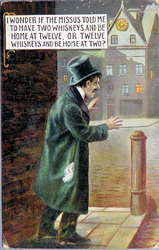 I have not determined the relationship between the two series, but there is no evidence of any connection with the Crown Publishing Company in St Albans. 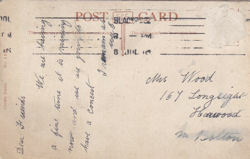 "CPC" was also used by the City Post Card Co. of London. 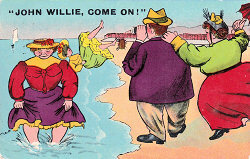 Artists used include Archibald English (A E) and Reginald Maurice (R M).